Whitman's most beloved poem, "Song of Myself," illustrated, illuminated, and presented like never before. Walt Whitman’s iconic collection of poems, Leaves of Grass, has earned a reputation as a sacred American text. Whitman himself made such comparisons, going so far as to use biblical verse as a model for his own. So it’s only appropriate that artist and illustrator Allen Crawford has chosen to illuminate—like medieval monks with their own holy scriptures—Whitman’s masterpiece and the core of his poetic vision, “Song of Myself.” Crawford has turned the original sixty-page poem from Whitman’s 1855 edition into a sprawling 234-page work of art. The handwritten text and illustrations intermingle in a way that’s both surprising and wholly in tune with the spirit of the poem—they’re exuberant, rough, and wild. 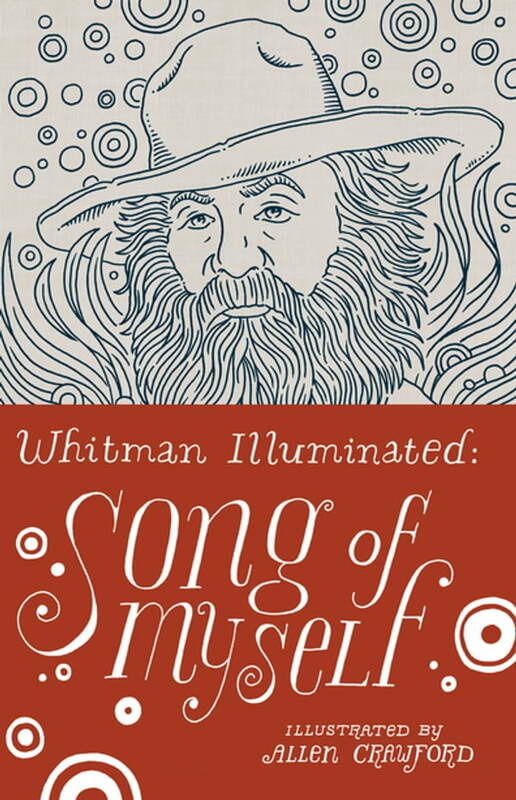 Whitman Illuminated: Song of Myself is a sensational reading experience, an artifact in its own right, and a masterful tribute to the Good Gray Poet.